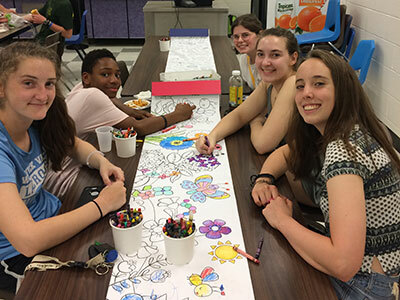 Many thanks to those who joined together recently for a fun family evening at Warwick Valley High School, while helping fight hunger in our own community. 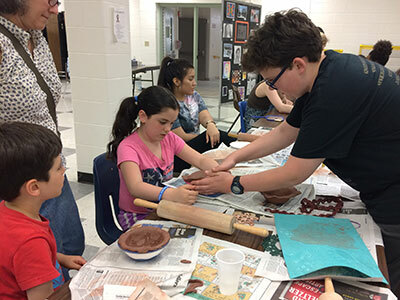 This year’s annual Empty Bowls fundraiser on May 4 was hosted by the High School Empty Bowls Club and Warwick Valley Empty Bowls community volunteers. 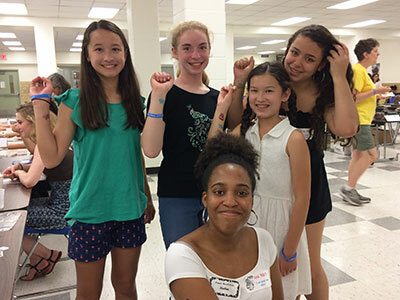 Warwick Valley Empty Bowls is part of an organized effort to fight hunger in communities across the United States and in other countries. Many attendees purchase a pottery bowl as a reminder of the event and the cause. Guests enjoyed a delicious meal of soup, bread, dessert and beverage. 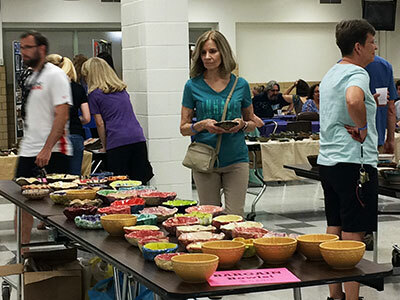 The event also featured a wide variety of beautiful handmade pottery bowls available for purchase, performances by talented WVHS student musicians, kids’ hands-on pottery activities and a 50/50 raffle. 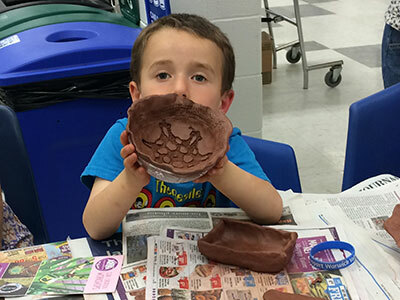 Over the years, many local potters have made and generously donated pottery bowls for Empty Bowls events. 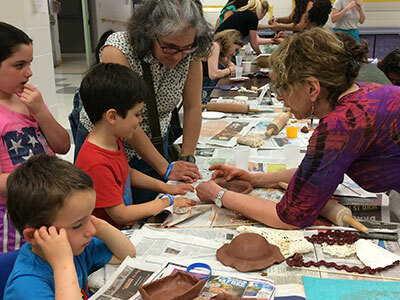 This year, bowls made by local potters Deb Bernstein and Roberta Green, as well as WVHS Empty Bowls Club members, were available for purchase. 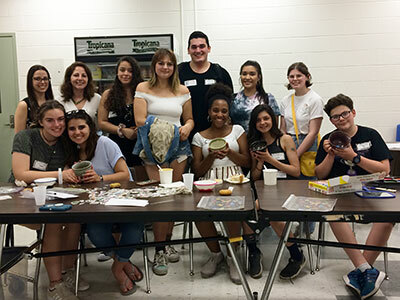 WVHS Empty Bowls Club members worked with faculty advisors, Ms. Shari Blauner and Ms. Gina Buffardi and local guest potters Roberta Green and Sharon Galbraith to learn how to make, decorate and glaze bowls for the event. Food was generously donated by local businesses, including Pennings, Bagel Time, Warwick ShopRite and Grappa. Music was provided by WVHS musicians Conor Borthwick, Chloe Borthwick, Steven Mehling, Granger Ottley, Brooke Nilson and Jake Constantino, with audio assistance by Pat Sliter. This year’s total proceeds included admissions and bowl sales at this event, and bowl sales by the Empty Bowls Club at other events. 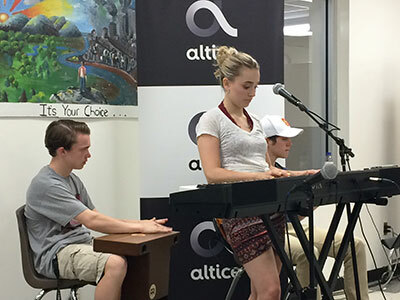 In a significant contribution, WV Empty Bowls received a generous $1000 award for the charity from the Altice “Charity Champions” program that recognizes area high school community service efforts. In addition, the WVHS Empty Bowls Club received a $250 check for pottery supplies. 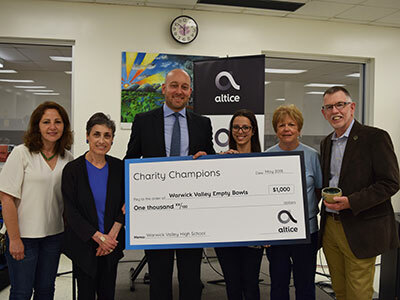 Altice representatives attended the event to present a “big check” to Empty Bowls along with special guest attendee, Town of Warwick Supervisor Michael Sweeton. St. Peter Lutheran Church Food Pantry in Pine Island. For more information about Warwick Valley Empty Bowls, go to: www.warwickvalleyemptybowls.org or on Facebook.